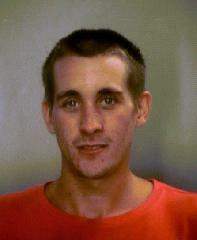 Missing Hale Nani Reintegration Center inmate Joshua White arrested by Kona Police. He faces an added escape charge. Kona Police notified the Hawaii Community Correctional Center (HCCC) that they arrested missing Hale Nani Reintegration Center inmate Joshua White this evening. On June 20th, Hale Nani staff were alerted to an unauthorized exit from the reintegration center grounds. A headcount was conducted and it was determined that inmate Joshua White was missing. An investigation into why he left the reintegration center will be conducted upon his return to the Hawaii Community Correctional Center (HCCC). White had community custody status which is the lowest custody level. He was at Hale Nani, pending trial on a probation violation. Prior to the violation, he was on probation for Unauthorized Control of a Propelled Vehicle and Theft 2. His sentence end date on those two charges is February 2018. He now faces an additional escape charge.